The X-NUCLEO-IHM17M1 is a low voltage three-phase brushless DC motor driver expansion board based on the STSPIN233 for STM32 Nucleo. It provides an affordable and easy-to-use solution for the implementation of portable motor driving applications such as thermal printers, robotics and toys. 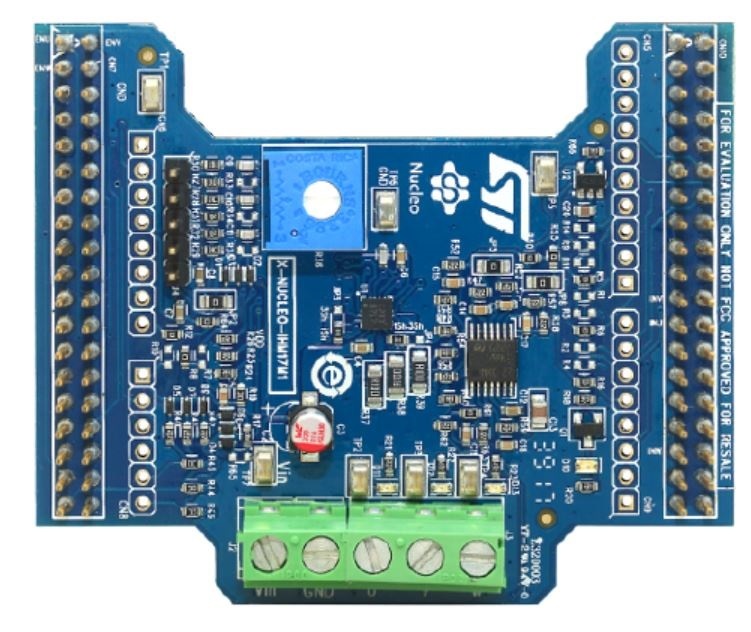 The X-NUCLEO-IHM17M1 is compatible with the Arduino UNO R3 connector and most STM32 Nucleo boards. The board is designed for six-step and FOC algorithms with single and three-shunt sensing topology.